We can supply and deliver blown and bagged wood pellets and wood chip, as well as logs. All of our wood fuel is; sustainable, BSL authorised, 100% virgin timber, low ash and low dust. We are also competitively priced within the market. As an installer of Biomass boilers, we understand the importance of good quality fuel, and therefore saw an opportunity to become a supplier ourselves. We can deliver a minimum of 3 tonnes, if blown into the fuel store, and our delivery vehicles come with trained drivers. Smaller amounts can be collected or delivered, in the form of bagged fuel. Wood chip is the cheapest form of wood fuel. The cost of generating 1 Kwh of heat is typically between 1.2p and 3p depending on the source of the wood chip. This compares to 4p for wood pellets, and upwards of 6p for oil or LPG. It has a high surface-to-volume ratio, making it ideal for efficient combustion or gasification. It must meet the correct specification, namely size, quantity and moisture content, to avoid operational issues. 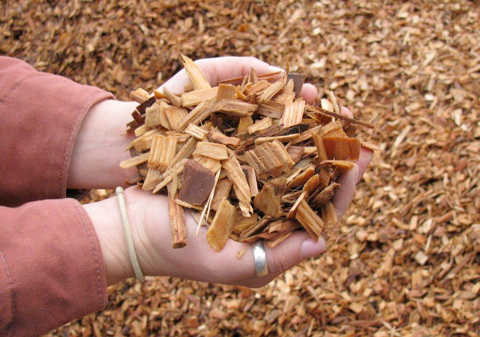 Wood chips are readily available, as they require minimal processing (just chipping) and can be purchased from a wide range of suppliers including Ecosmart Fuels. Our team evaluates every fuel store, from access to size, to make and model. Each property will have their own delivery plan, so that our drivers have plenty of information and are aware of any issues that may arise. Wood pellets are produced from sawdust, as a by-product of saw mills, as well as other sustainable sources. It is widely available throughout the UK, and takes up considerably less space than wood chip. Pellets are often used with smaller heating systems where space is limited, or building a store is too expensive. 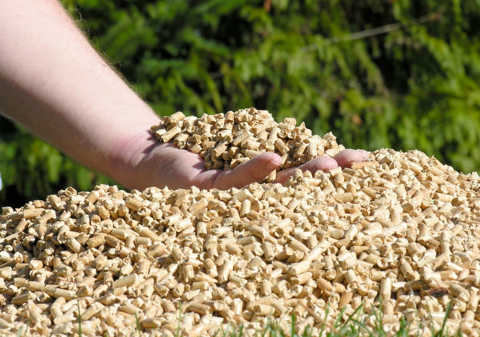 Wood pellets are readily available, and can be purchased from Ecosmart Fuels. As an installer ourselves, we know the importance of good fuel, which is why we decided to start up Ecosmart Fuels Ltd. Our wood pellets are sustainably sourced, and made from 100% virgin timber. They are low ash and low dust, making them the ideal fuel for your boiler. We can provide blown or bagged pellets, depending on the amount required. A minimum standard delivery of blown pellets is 3 tonnes per property. Once ordered the delivery is typically 3 -5 working days. Our delivery vehicles come in a range of sizes to suit larger and smaller deliveries and where access is more difficult. They are all equipped with a vacuum hose for any dust and a fuel level measurement device, to accurately measure the amount of fuel in your store. Our team evaluates every fuel store, from access to size, to make and model. Each property will have their own delivery plan, so that our drivers have plenty of information and are aware of any issues that may arise. Logs are readily available at Ecosmart Fuels, and once ordered can be delivered within 3-5 working days. Minimum of 3 tonne blown order/ delivery. Bagged pellets sold individually or full pallet and half pallet. Dust suction equipment at each delivery. Complete our delivery form with information about your fuel store, location and ease of access. Send the form back to our office, and arrange delivery date. On the day our driver will call to give a delivery time. Ensure that there is someone at the property to accept delivery.